“Rocket Man is on a suicide mission for himself," Trump said. 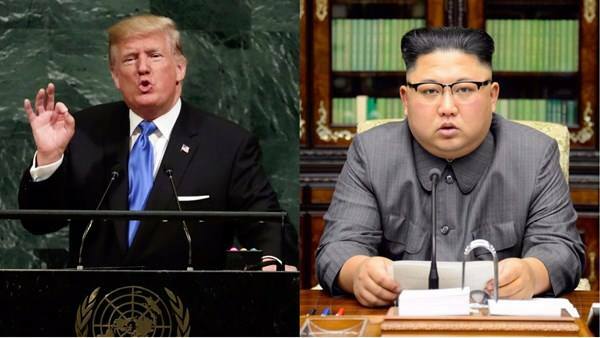 “A frightened dog barks louder,” Mr. Kim said in a statement, referring to Trump’s speech at the United Nations General Assembly. “We’ll continue to strive for a reasonable approach and not an emotional one like when children in a kindergarten start fighting and no-one can stop them," Moscow’s Sergei Lavrov said. Lets hope these two tards keep their argument verbal and not nuclear.